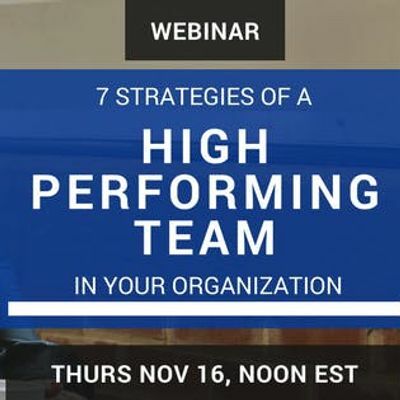 Are you ready to learn the TOP 7 Strategies For Creating A High Performing Team In Your Organization!? 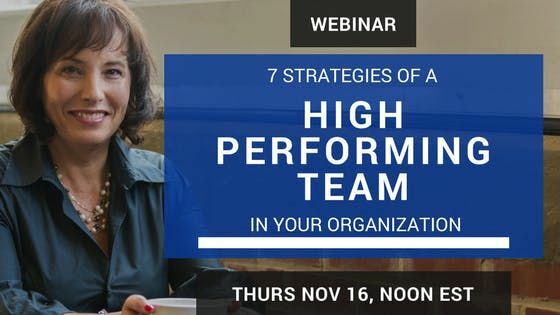 And so much more as I'm sharing my Top 7 Strategies that are used by my clients to generate tens of thousands of more dollars in their business! "I am also grateful for my time with you. Your insight and experience helped me to move further away from transactional leadership and to another level of transformational leadership. You facilitated my discovery of stronger self-awareness and more strategic thinking which aided me in taking advantage of available opportunities...there was growth in my personal presence which led me to be recognized more by senior management and peers. We are all better because you listened, identified the needs and offered impactful ways to face and overcome challenges. The transformation is tangible and I owe it all to you. "